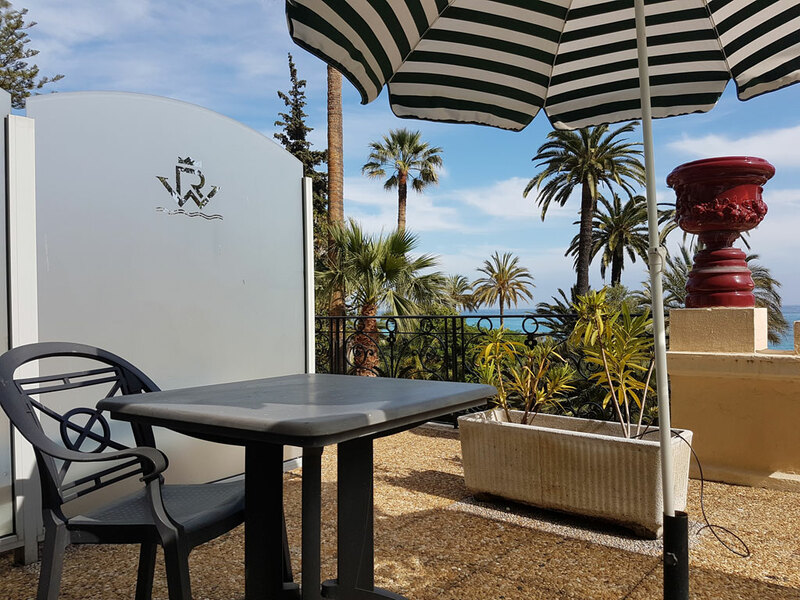 The Royal Westminster Hotel, a charming Belle Epoque palace, is located on the Promenade du Soleil, a stone’s throw from the picturesque and pedestrian streets of Menton city center. It has sea view rooms with refined decoration. The hotel seduces for its calm atmosphere in the heart of a park with a wonderful view on the Mediterranean Sea. 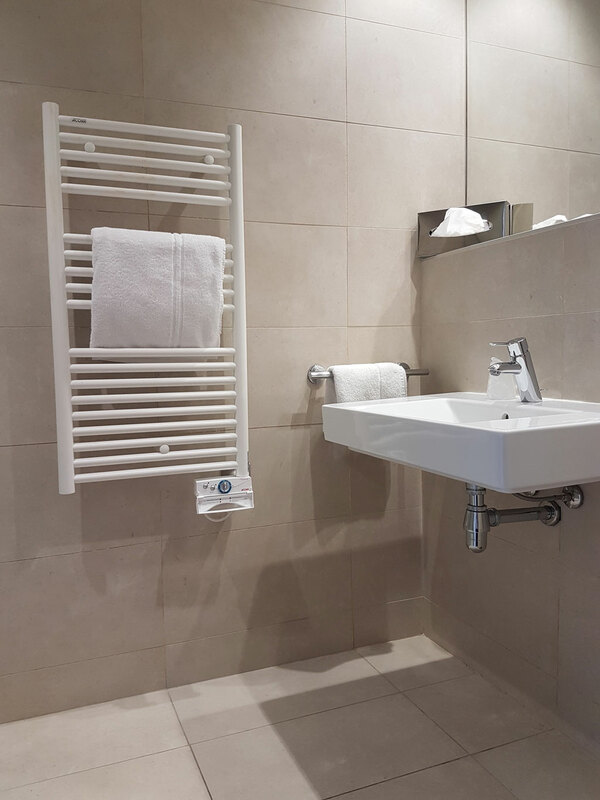 The comfort of these rooms is ideal to enjoy your stay in the heart of Menton, a city with Italian accents and an exceptional climate all year round. 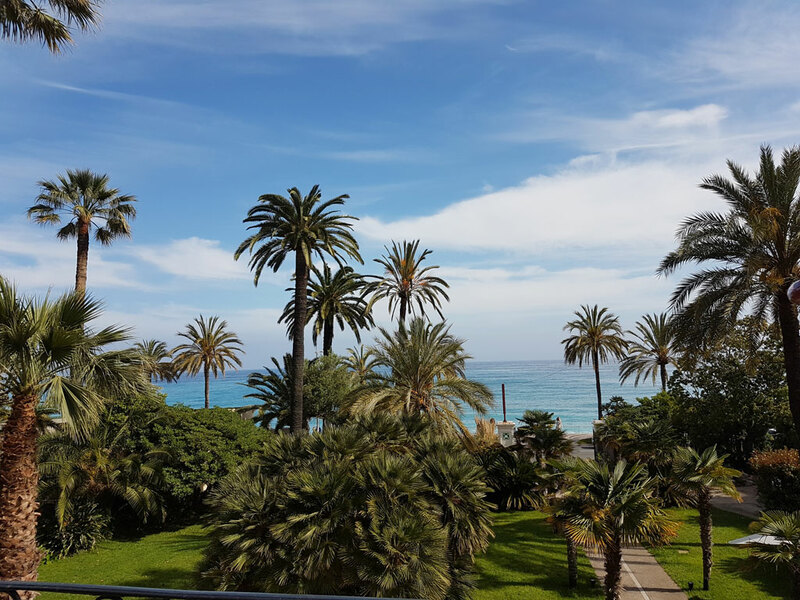 This hotel is the best place to relax after a day of meetings or excursions in San Remo or Monaco. Let your mind wander around while you are looking at the immense beauty of the Mediterranean Sea. 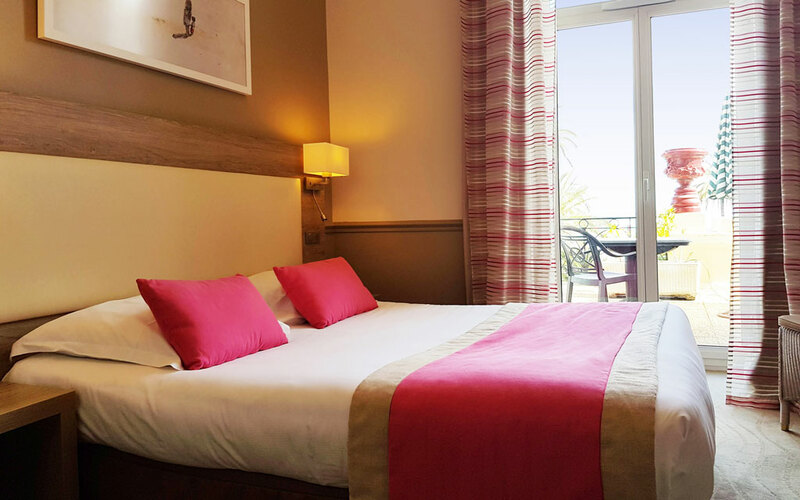 The standard sea view rooms at the Royal Westminster Hotel, featuring a double bed, can accommodate one or two people and offer all the comforts for your stay on the French Riviera. 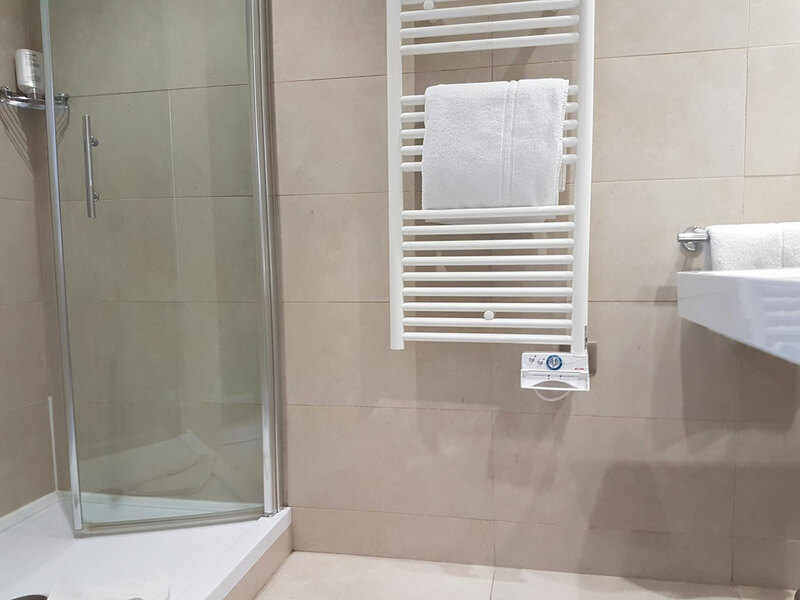 You can find Standard rooms on all floors of the hotel and they are all accessible by lift. 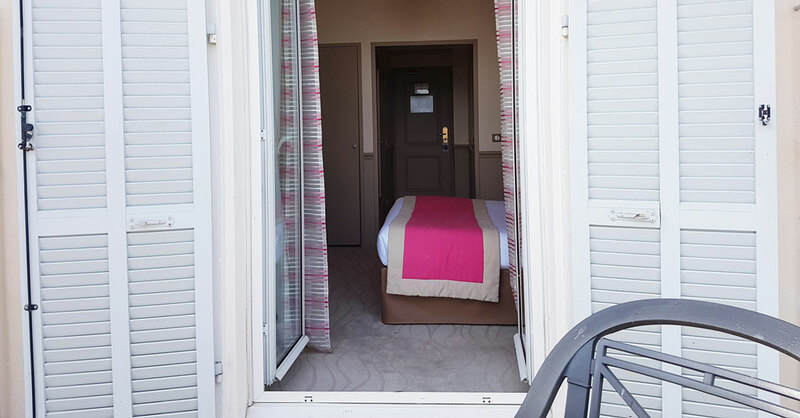 Measuring 15m², the rooms of this charming hotel in Menton are a comfort size. As an added treat, breakfast can be served in your room to enjoy the beautiful panorama while sipping your coffee. Your 3-star hotel Royal Westminster is the perfect place to enjoy your holidays in the French Riviera. Do not wait any longer and book now the comfort of one of our standard rooms with a sea view. Perfect for a weekend or long vacation in a 3-star hotel in Menton. Our hotel in Menton also offers comfort and privilege sea view rooms and three rooms for disabled guests. Please note: Pets allowed with a supplement of 14 € / night. All rooms do not have a balcony.